Have you ever been in the car trying to scoop baby formula into a bottle pour in the water shake it up all in an effort to soothe a crying baby. If so you will appreciate Refresh-a-Baby. 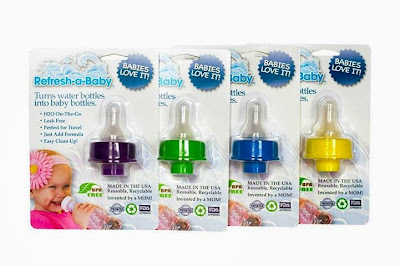 Refresh-a-baby offers you a solution to the baby bottle battle. Eliminate all those steps by having your formula pre-measured and all you have to do is pour the pre-measureed formula in a water bottle and pop on your refresh-a-baby. Mine are out of baby formula but still my smallest drinks bottles. It ios always a battle to keep from spilling in the car. We took our Refresh-a-Baby for a try. We travel 3 hours to my families for Thanksgiving so when Gavin wanted a drink I was ready I handed him a water bottle with his Refresh-a-Baby. He loved it not only was there no spills but we found it also adapted to many of his kiddie juice drinks as well as sport drinks. I really love Refresh-A-Baby. It is something I would not only buy for myself but would reccomend to anyone who wants to keep their car interior spot free. 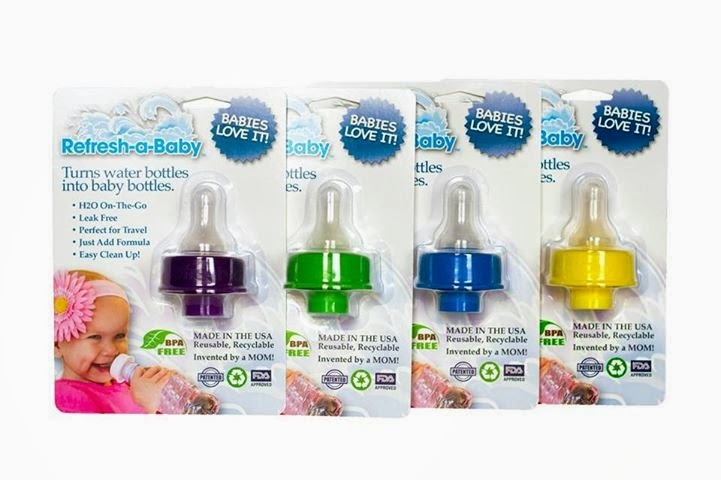 Give Refresh-A-Baby a like on facebook and a follow on twitter. Watch out for tommorrow as Refresh-a-Baby has graciously offered to give one reader a set of Refresh-a-Babies!